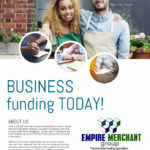 A Company that transforms the future of Business Funding. The lowest interest rates, longest terms and fastest approvals! 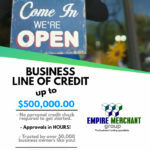 Getting approved for a Small Business Loan is easy at Empire Merchant Group. 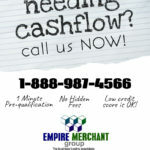 We are your #1 source for bad credit Small Business Loans. 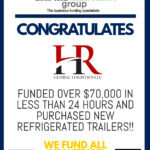 Most noteworthy, we proud ourselves to have the fastest approvals and funding. 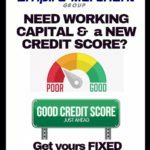 Furthermore our 100% digital Lines of Credit do not require of a good credit score either. As a result, most of our clients are returning, happy clients. 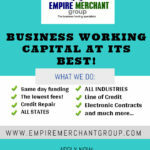 In conclusion, Empire Merchant Group LLC, is your one stop shop to fulfill are your working capital needs through our bad credit Small Business Loans where no collateral nor perfect credit score is required, limited documentation is requested and nearly every industry is accepted. 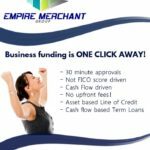 Getting approved for a business loan is simple! Complete our paperless application and send us your last 3 months of business bank statements. 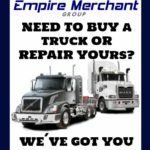 Review your offer, sign contracts and get funded same day!